Published: 05/20/14 10:21 AM in Animals, National, North America, Travel. 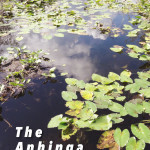 The entire time Kevin and I have lived in Miami, I have been fascinated with the Everglades and finding ways to safely penetrate the grasslands to get a better look into its depths. 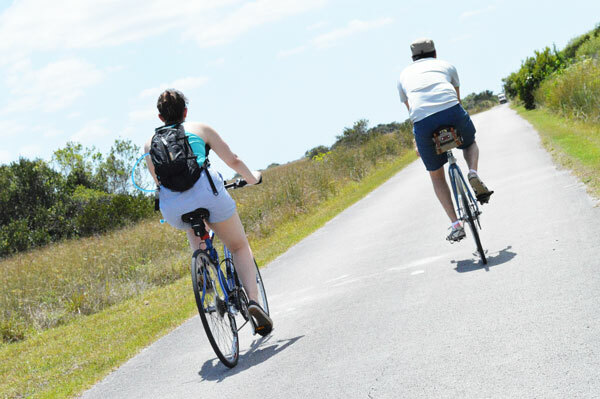 One of the most satisfying and easily accessible ways is visiting Shark Valley and biking the 15 mile loop into the Shark River Slough. 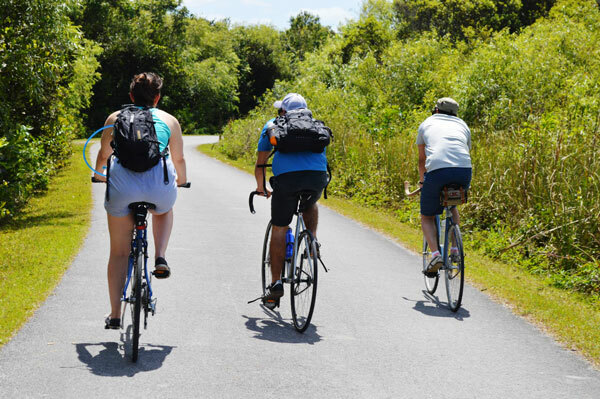 Our favorite way is biking the loop because it allows us to take our time and make as many stops as we want along the way. 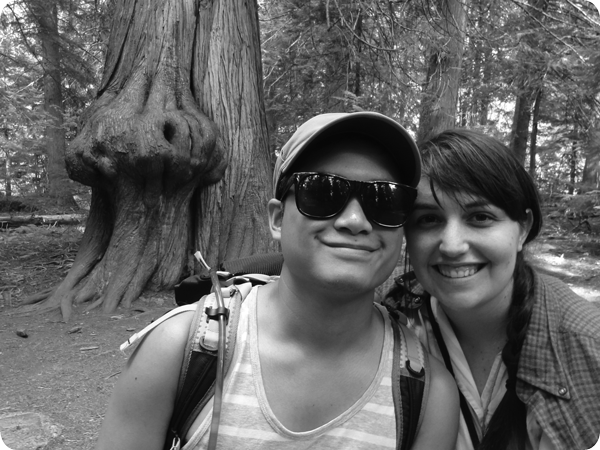 It also fills the afternoon, or morning, with a physical and outdoor activity that makes you proud to accomplish. 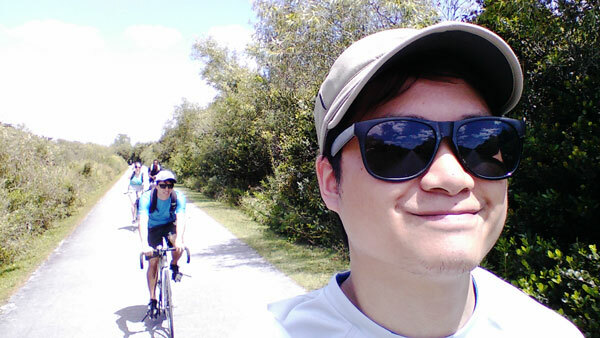 Another reason Kevin and I wanted to bike the loop at Shark Valley was to take part in the Tamiami Triathlon by completing one leg of the event. 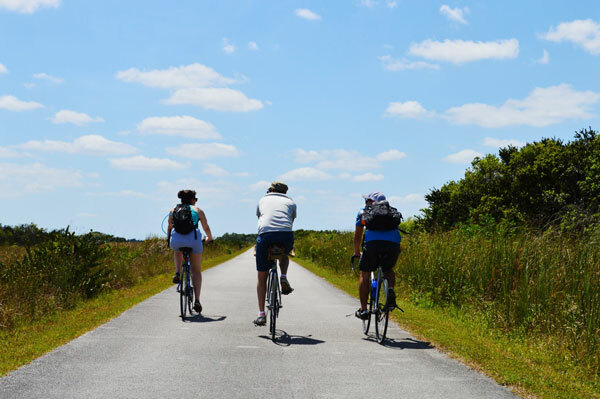 The Tamiami Triathlon is not a typical triathlon where participants complete all three events (swimming, biking, and running) during one race and then place among the other participants. 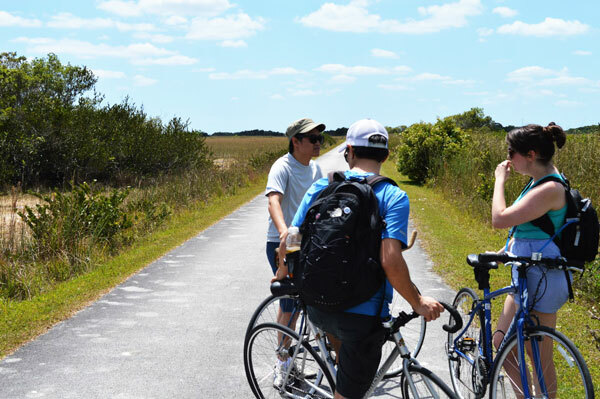 The purpose of this triathlon is to get people outside exploring their nearby national parks! 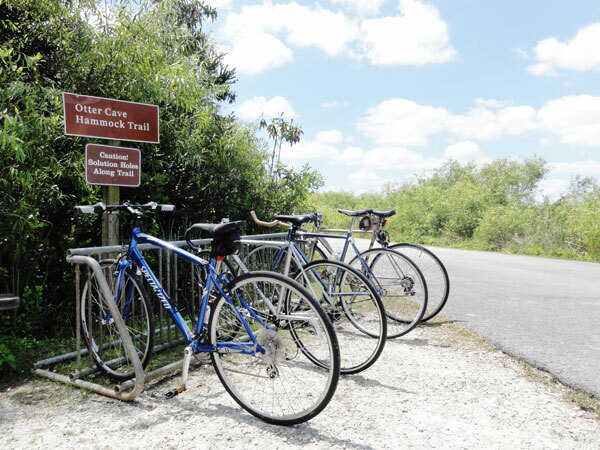 There are three legs to the event; biking the 15-mile loop from the Shark Valley Visitors Center, hike 3-mile loop from Oasis Visitor Center, and kayak/canoe the 3.5-mile route from the Gulf Coast Visitor Center in Everglades city. 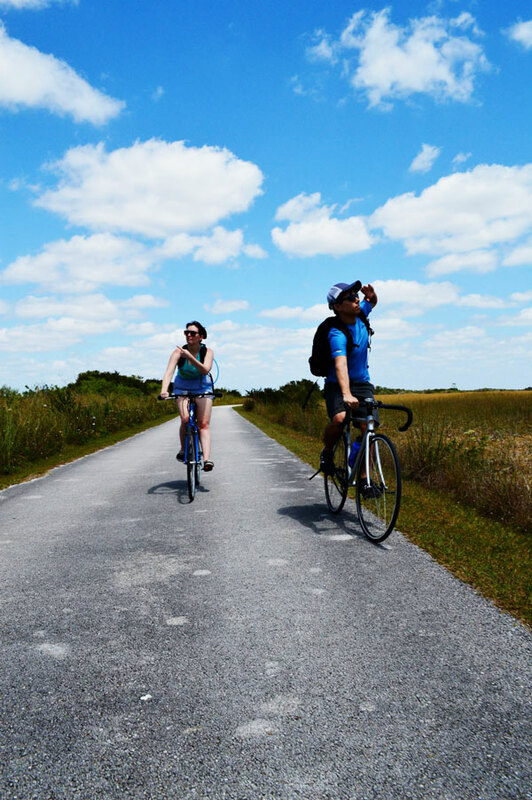 Once you have completed all three, you will have visited both the Everglades National Park and the Big Cypress National Preserve. 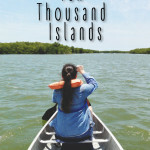 All we have left now is canoeing through the Ten Thousand Islands and hiking through the Big Cypress Swamp. 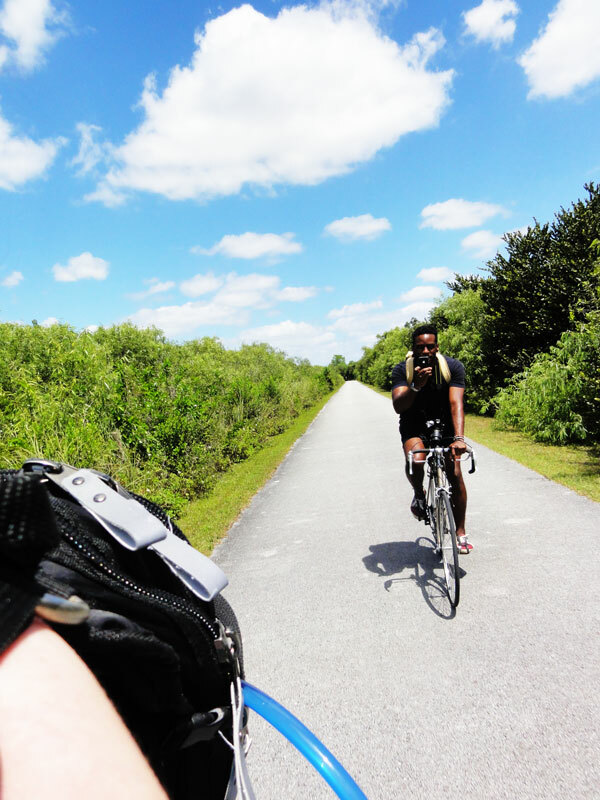 The day we chose to bike Shark Valley was a perfect day! 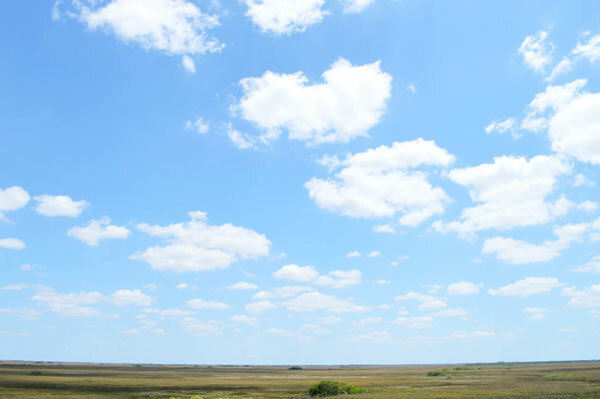 It wasn’t too hot out and there wasn’t a dark cloud in the sky, just gorgeous blue skies and the green of the Everglades. 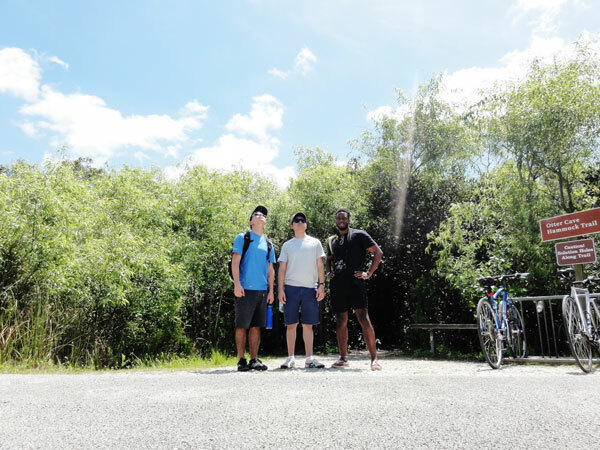 The tricky part of any Florida day during the summer is that rain can crop up out of nowhere, but there was no rain for us as we made our way around the loop. 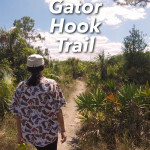 There are a few trails along the road at Shark Valley that take you through the middle of the loop giving you a peek into the higher ground of the Everglades. 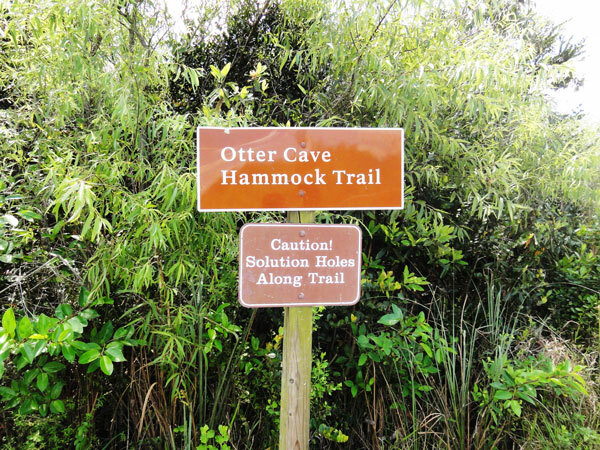 Along the Otter Cave Hammock Trail, you get a look at the solution holes in the area and at what the inside of a tree island must be like. 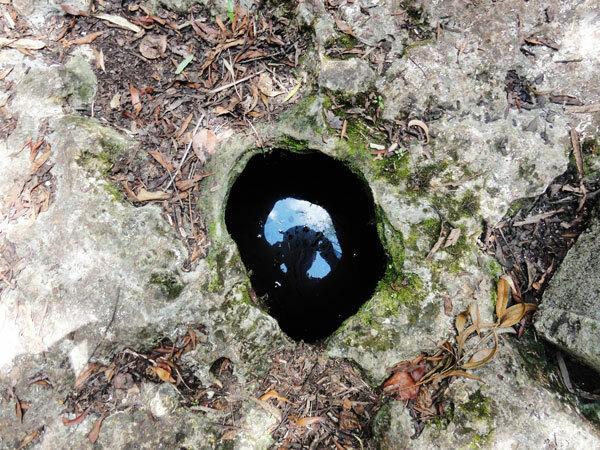 Solution Holes are smaller versions of sink holes except they do not penetrate down into the water table. They are created in the weaker parts of the limestone where water has worn away the stone to create an empty pocket of space. 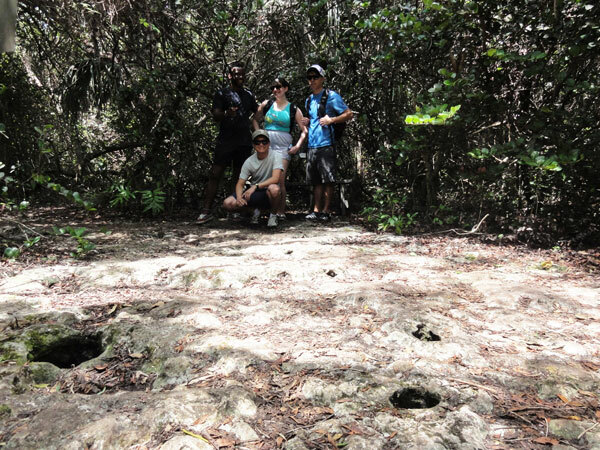 You have to be careful as you traverse this area because stepping into one of these can end in a twisted ankle. 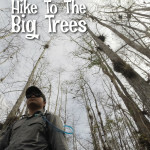 The trees in this area are so dense that their branches intertwine so much it is hard to identify which branch originates from which tree. 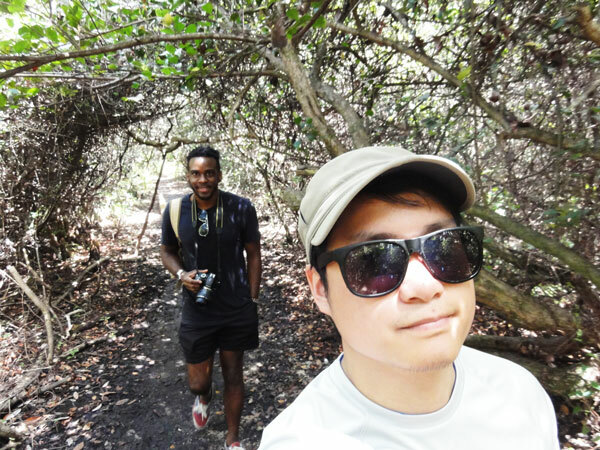 Walking through the area is only possible because of the pre-cleared path provided by National Park Service. 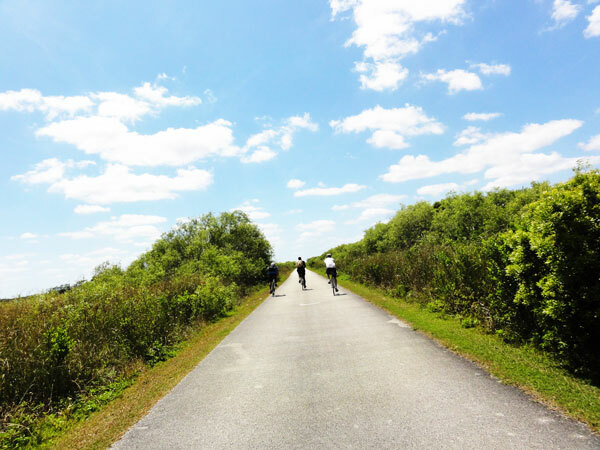 It allows you to really see into the environment of the Everglades. 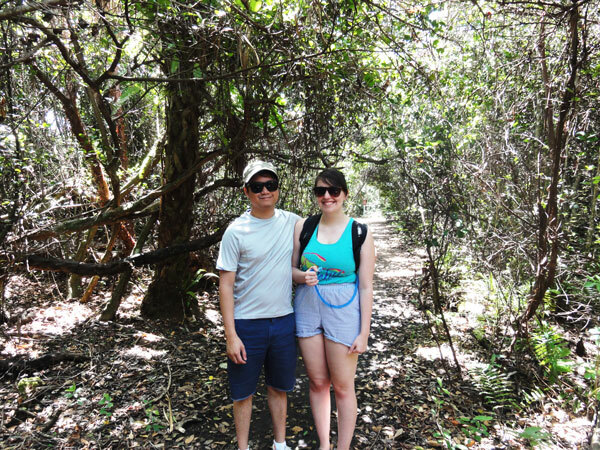 The coolest part of Shark Valley is the proximity you have to the animals in the area. 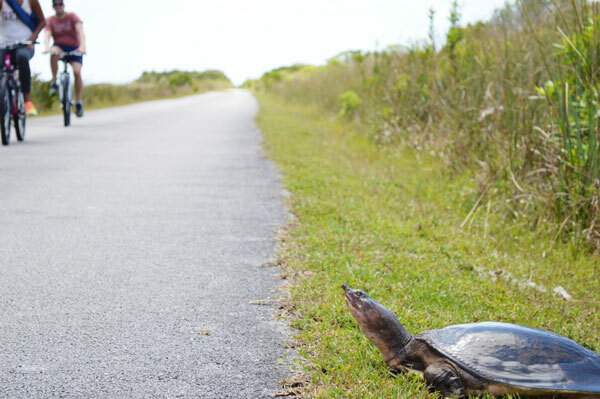 Without any safety railings or cages, you feel safe on the path even though a turtle or alligator could make its way toward you with little effort. 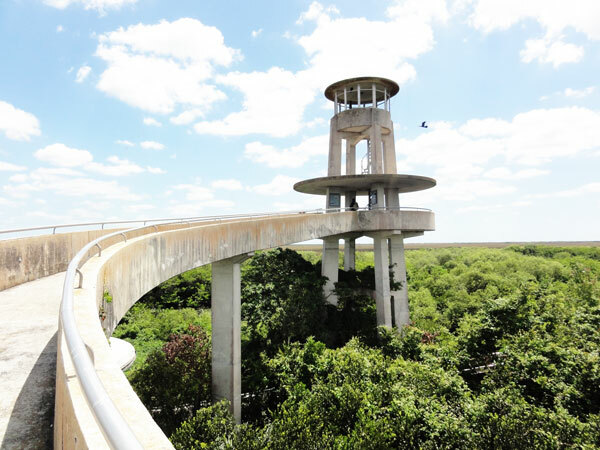 It allows visitors to see the Everglades in action without having to feel like they are in danger. 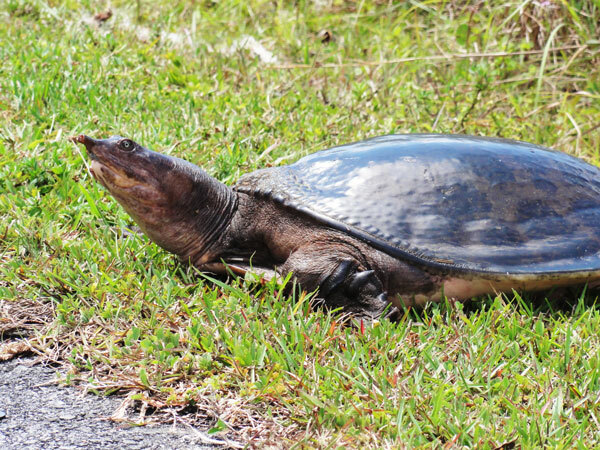 In this case there was a Florida Soft Shelled Turtle hanging out in the sun. 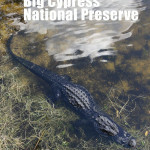 However there are many alligators sunning themselves in the shallow water as well. 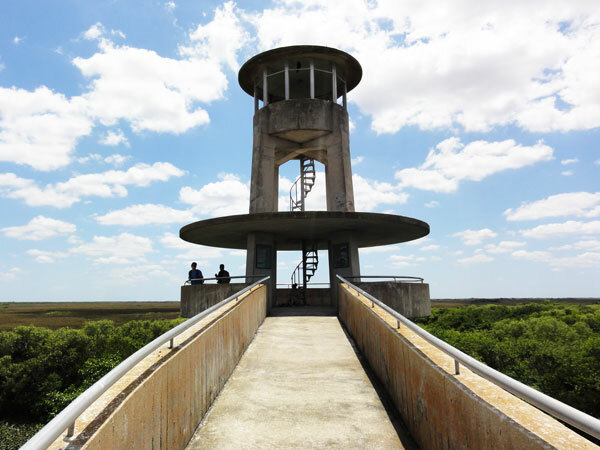 When you finally reach the Shark Vally Observation Tower, you have made it halfway through the bike ride. 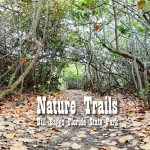 You have also reached the furthest point into the Everglades you can at Shark Valley. 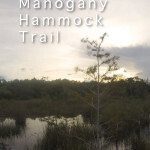 At this point you get to experience a rarer view of the marsh and take in its breadth and beauty. 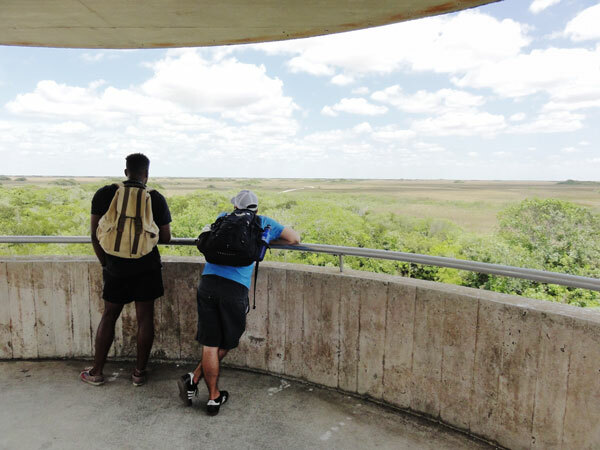 The Observation Tower at Shark Valley towers over the mostly flat expanse of the Everglades and allows you to get a view of it all. 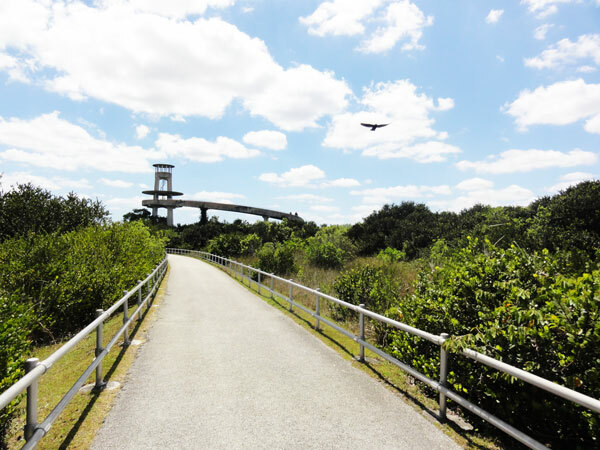 The design of the tower is relatively simple, but seems to match the feeling and environment of the park. 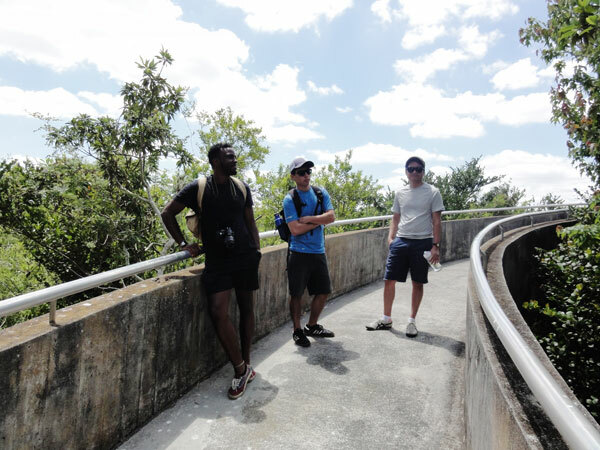 From the top it is amazing to see how large and never-ending the Everglades is. 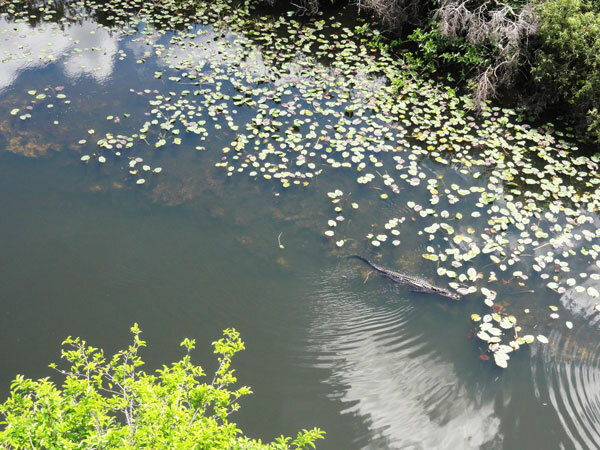 It is also extremely relaxing to watch alligators swim through the deep water of the Shark River Slough.